The perfect leather care kit for the car guy! Let's say your second vehicle is a BMW M235i or a Corvette Grand Sport. Chances are, cleaning every square inch of your "weekend toy" is fun and therapeutic for you. 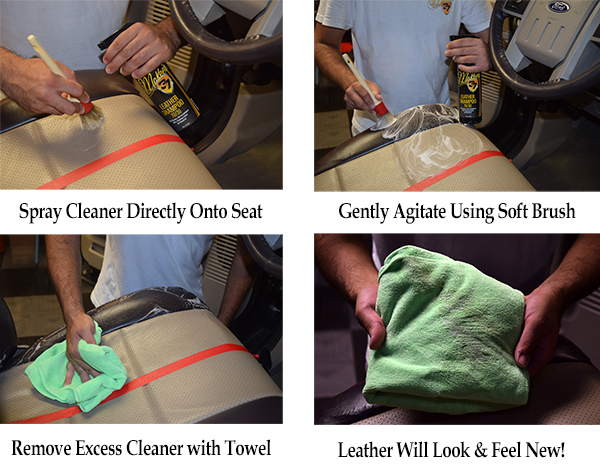 If this describes you, I've got the perfect kit to clean and protect the leather upholstery. The McKee's 37 Car Guy's Leather Care Kit is built around our fantastic leather conditioner. You can apply this protectant as often as you'd like. It features a rich, pleasant leather aroma that keeps your leather upholstery soft and supple. For the once-a-month deep cleaning, this money-saving kit also includes our brand-new Leather Shampoo 70/30, not to mention a nifty detailing brush and a handful of premium microfiber towels! How often do you clean the leather upholstery in your vehicle? Frequent car care is easy car care, which is why McKee's 37 developed an easy to use, two-step process for cleaning, conditioning and protecting expensive leather upholstery with Leather Shampoo 70/30 and Leather Conditioner. McKee's 37 Leather Conditioner is essentially anti-aging cream for leather surfaces that penetrates deep into the leather, restoring its pH-balance and infusing it with synthetic lanolin oils. The result? The leather upholstery in your vehicle will be soft, supple, and well protected. 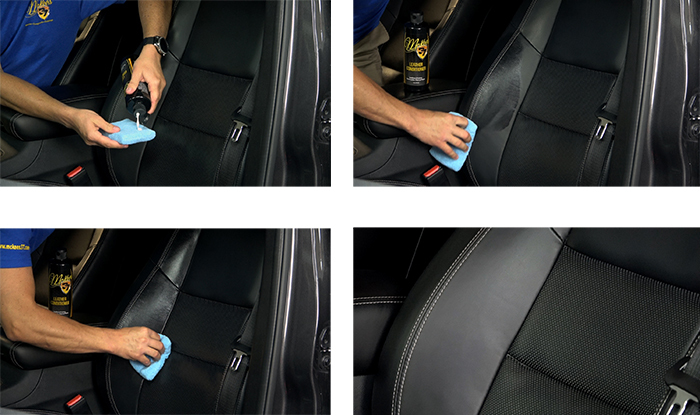 Leather Conditioner is 100% compatible with perforated leather seating surfaces, too! Total retail value of $99.87. You save $39.88! Leather care kit 5 All the products that came in this kit were awesome, i really like the the scent left behind the leather cleaner and conditioner. The effectiveness of the cleaners i would say were very effective, with a couple of passes, depending how dirty the interior is, you get amazing result, the cream color on my door panel came back to life. The carpet cleaner was my first time using it in general and i pretty much used like 80% of the product on one vehicle. It did its job. Leather care kit 5 This stuff made my seats feel better than they did from the factory! Smells awesome too! Great product and shipping was fast as well. smells good! 5 I just used the package last weekend on all of the leather seats in my SUV. Didn't notice much dirty stuff coming off the seats towards the towel but I guess it's because the seats have been detailed less than a month ago by a professional detailer. Anyway, after the process my seats look nice and smell nice. I believe I'll never need to purchase interior detailing again. I can do everything by myself. Leather care kit, A+ 5 I bought a used high end SUV recently. The owner never cleaned the drivers leather seat. It was pretty grungy. Used Mckee's 37 kit, now it looks great and the conditioner makes the leather soft and is now protected. Pros:Easy to use, smells good, great results.